Sunday is Chores Day for me. Friday nights are reserved for chilling and slacking since the thought of a full long weekend ahead holds so much promise. This is the only time I actually allow myself to be lazy also. Saturdays are a bit crazy since I attend MA classes in the morning, have lunch dates with friends, hear anticipated mass in the evening, and go out with my family at night. Sundays on the other hand is a different story, it is my Chores Day. I wake up late so I usually am cramming by the time breakfast is done which is kind of a big affair in our family since this is the only time we get to sit down and share breakfast together in all the days of the week. After that I am off to doing chores. 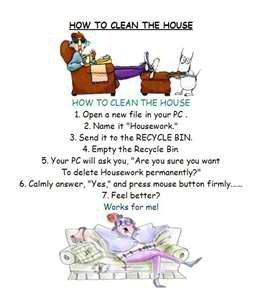 Me, I am the designated house cleaner. This is the time that I more or less turn the whole house over and scrape it clean. I love getting down and dirty just to reach the dark crevices where dust loves to settle down. I love destroying cobwebs and watching spiders scramble to get out of my way. I love putting some sort of order on things like our closet, bookshelves or magazine rack. It’s like these stuffs were just waiting for me to help sort their life out the whole week. At the end, I love sitting on the couch after roughing it out with the dirt to survey the whole scene and check if I missed something. Seeing our whole house spanking clean gives me such great satisfaction. 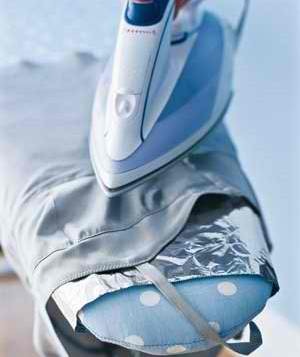 I hate ironing. I can wash clothes by hand all day but I won’t do any ironing. i love cleaning the house… good thing now that washing is easy. we have machines now the do everything for us you just have to push the button and ta-da… your laundry is done without getting your hands wet.. but unfortunately not for ironing!! hopefully they can invent something too that will erase ironing in our chores! hehe..but life is not like that.. there are no shortcuts! I will do the laundry nalang and the dishes okey,hehe…Just dont wash your hands after doing the ironing okey….If you are enjoying it, then it sure cool to call you the Iron Lady, okey? @Blanca, when I saw the title, I thought it’s about being a strict teacher. But when I read the post, Iron Lady nga pala 🙂 I enjoyed reading the analogy of ironing clothes with “ironing” relationships to remove the creases out. cool family team work. Perhaps I should learn to do house chores na rin or cook before it’s too late. Great tremendous things here. I¡¦m very glad to see your article. Thank you a lot and i am looking ahead to contact you. Will you please drop me a e-mail?